Our pick of the best kitchen gadgets! We don’t know about you but when we finally treat ourselves to a couple of new kitchen appliances we turn into a big kid, pushing every button, oohing and nagging our partners to move the hefty goods around until we are happy with the placement of our new gadget (toy). 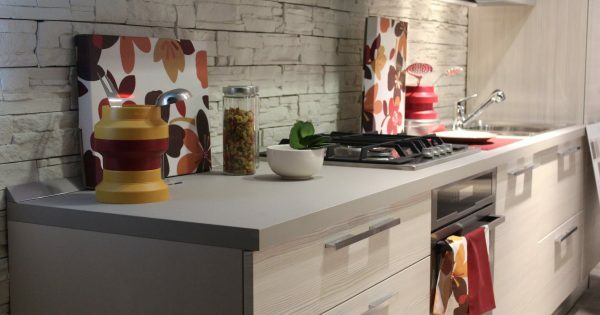 Anyway, as busy mums we are all for kitchen gadgets, especially if they are going to help cut down the amount of time and effort that we spend in the kitchen! When we come home from work the last thing that we want to do is stand over a chopping board cutting up vegetables, cue the Mini Chopper Pro. 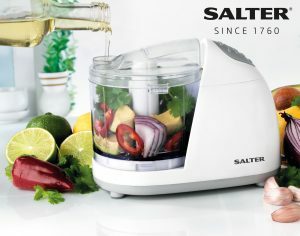 This sleek Mini Chopper from Salter has been designed to chop ingredients at the touch of a button. With a steel blade, nothing can stop this bad boy as it cuts through meat, vegetables and nuts to help you make delicious meals. Also from Salter, this omelette maker can be used to make perfectly fluffy omelettes, cakes, pastries and much more with little or no oil. With aluminium non-stick cooking plates that heat up in less than five minutes, there is next to no hassle when it comes to cleaning them. 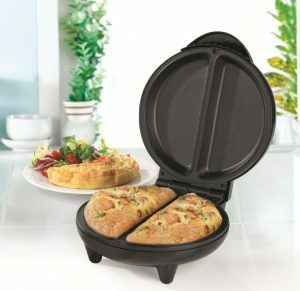 This omelette maker has plenty of space to cook two delicious treats at the same time and ensures that cooking healthy food is easy even in a rush. This is the ultimate kitchen gadget for coffee addicts everywhere! 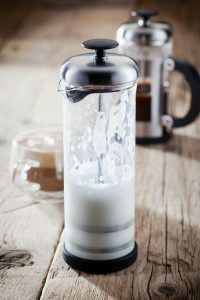 Not everyone can afford the luxury of a café style steam frother at home so this where the Judge Latte Milk Frother comes in as a humble yet effective alternative. It’s great for milkshakes and hot chocolates (which we are drinking plenty of) too! 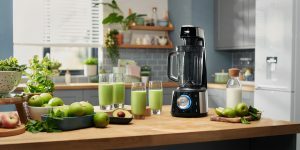 This state-of-the art Vacuum Blender from Beko is ideal for smoothie lovers and those on a health kick. The blender helps you to enjoy the healthy benefits of your fruit and veg for longer thanks to its vacuum blending technology. Its technology reduces oxidation to retain up to 40% more vitamin C in your ingredients, while locking in extra fibre content too. With reduced oxidisation, the juice or smoothie that you make will boast a vibrant colour that is Instagram worthy. 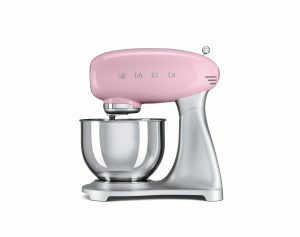 Add a touch of retro glamour to your kitchen with this Pink Stand Mixer from Smeg. Available in a variety of colours, this Stand Mixer has a number of different accessories to make your cooking and baking experience that little bit easier and feel less like a workout. Complete with a stainless steel bowl that has a capacity of 4.8lt, anti-slip feet, a ravioli cutter accessory and a whole lot more, this is the ultimate kitchen gadget. What are your favourite kitchen gadgets? Let us know over on Facebook and Twitter.